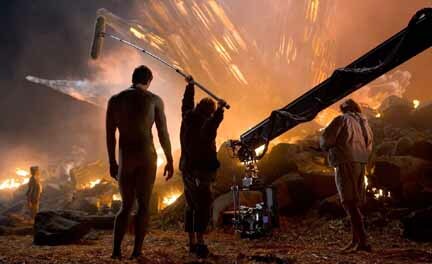 Warner Bros. has provided The Continuum with 19 stills from the upcoming Superman Returns movie. The photos feature Brandon Routh as Clark Kent and Superman, as well as Kevin Spacey as Lex Luthor, Kate Bosworth as Lois Lane, Parker Posey as Kitty Koslowski and director Bryan Singer. Superman Returns opens in theaters on June 30. Click on the thumbnails for larger and fuller images and look for more on Superman Returns soon here in The Continuum. Diamond Distributors has released sales figures for 2005, with Marvel Comics the top publisher and DC Comics' All Star Batman and Robin, the Boy Wonder #1 the top-selling book. Marvel had 36.97 percent of the dollar share to 32.96 for DC and 42.62 percent of the market share to 35.46 percent for DC. Following All Star Batman in the top 10 were House of M #1, Infinite Crisis #1, DC Countdown to Infinite Crisis #1, Infinite Crisis #1, Justice #1, Infinite Crisis #3, All Star Batman #2, Green Lantern #1 and House of M #2. For the complete tables, CLICK HERE. 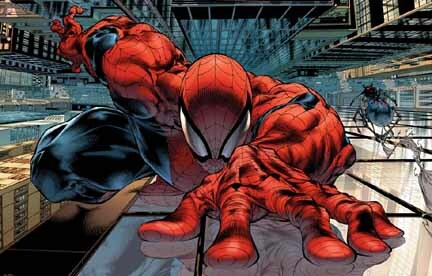 Marvel Knights Spider-Man will get a new title and a new creative team with #23. The title will become Sensational Spider-Man just in time for the addition of the new creative team of Roberto Aguirre-Sacasa and Angel Medina. Their first arc "Feral," finds Spider-Man�s animalistic foes, including the Lizard, Man-Wolf and the Black Cat becoming more bestial than ever before. "It's thrilling to be writing Spider-Man when so many exciting things are happening to him and the entire Marvel Universe," Aguirre-Sacasa said. "It is both challenging and exciting to be aligning Sensational Spider-Man back with the other Spider-Man titles as well as the Marvel Universe. It also helps that Angel Medina's art is nothing short of sensational." This is Medina's first work for Marvel since leaving Spawn and becoming exclusive with the publisher. Sensational Spider-Man #23 goes on sale on Feb. 8. Click on the thumbnails for larger images. Astonishing X-Men writer Joss Whedon said he'll be taking a close look at the members in his next story. "The next arc of the X-Men is so entirely internal, it's really a six-issue examination of who the people are, what makes them tick and how do you take them apart," Whedon said. "Good lord, am I having fun." Whedon was featured as a telephone news conference staged by Marvel on Thursday to discuss Astonishing X-Men. According to editor Mike Marts, Astonishing X-Men will ship bi-monthly from February though August (#13-16) and then the book will go monthly for the remainder of the creative crew's 12-issue run. "I just did an issue that really focuses on Scott and I really feel a lot of his pain. Scott and Kitty, obviously Kitty, both to me have a certain element of always feeling out of their depth and really taking everything to heart and being really buffeted by everything that goes on around them. That's a quality I'd like to shed, I'd like to be more Logan like, but why I love them is that they come through despite that. "Especially after you read issue #14, you will understand why Scott is someone I really feel a kinship to and Kitty in a similar, but slightly different way. Kitty, I think, is at more peace with herself than he is, but she always feels a little like, 'I'm a child and this is a mutant war! This is a huge cross-over, what am I doing in it?'" Click on the thumbnails below for samples of Jahn Cassaday's art from #13. For covers and five-page previews of Marvel Comics titles arriving in stores on Wednesday, CLICK HERE. Titles include Amazing Fantasy #17, Exiles #76, All-New Official Handbook of the Marvel Universe A to Z #1, Marvel Spotlight: Warren Ellis/Jim Cheung and X-Men and Power Pack #4. For covers and five-page previews of Devil's Due Publishing titles arriving in stores on Wednesday, CLICK HERE. Titles include Dragolance: Chronicle #6 and Forgotten Realms: Exile #3. * Above is a look at the covers to Army of Darkness #7 from Dynamite Entertainment; The Super Naturals #1 from Jam Packed Productions; Bluff #1 from Narwan Publishing; and Ghost Rider #6 and Ultimate X-Men #67 from Marvel Comics. Click on the thumbnails for larger images. * The "Cyborg" episode of Smallville has been filmed. It will likely be the last episode of the series for the February sweeps. * DC Comics has announced that both Jonah Hex #1 and Jonah Hex #2 have sold out. * Coming Saturday: Television news -- and much more!!! * Saturday, Jan. 15: Teen Titans, Smallville, Family Guy and The Simpsons.